The most interesting stories often start with a question — in this case a most interesting question from my girlfriend, who noticed a professional clown’s business listing on Google Maps. Well, I’m no fool. I know that everyone isn’t lucky enough to have a bona fide clown in his or her 'hood. I was excited to do some investigating and hopefully meet this fascinating neighbor. Fortunately for my search, the clown — Bonkers — had a website. It’s what you would expect for a clown — looping circus music, list of skills/gigs/honors (from The Dallas Times-Herald, no less) and a link to a video clip. This wasn't any ordinary YouTube video (at right). It was a trip down memory lane. The video was from a TV show called “Club 27,” which I remembered from my childhood. The clip showed Bonkers doing a trick. I knew this clown. 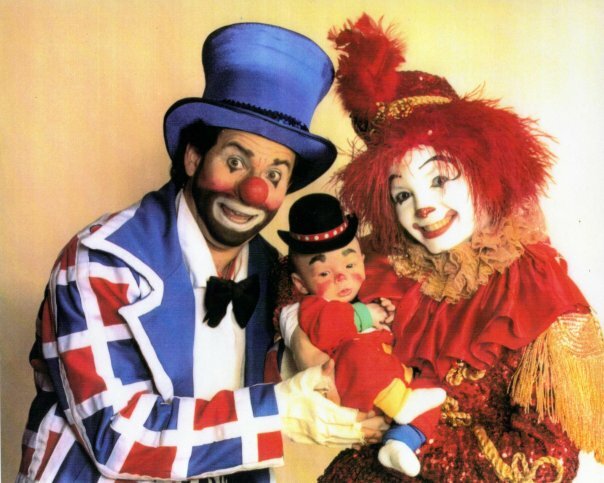 I grew up watching him and Poppy, the other clown that hosted the show. “Bonkers lives across the creek from me,” I thought. How cool is that?! I quickly clicked on the site's “contact me” page and sent a short message introducing myself as a Lake Highlands resident who blogs and formerly worked for The Dallas Morning News. I said I fondly remembered his show and was interested in chatting and interviewing him for a “Where Are They Now” style post and possible freelance story for the Morning News. I received a reply 10 minutes later from John Rainone (Rai-noh-nee). Disappointed he had moved but not dejected, I replied back, saying I would still be interested in chatting with a clown who never talked (Poppy was the Penn to his Teller, Jay to his Silent Bob) and relied on his expressions to convey ideas and emotions. First, for a guy whose stage name is Bonkers, John is anything but. Dearborn, Mich.-born and Dallas-Fort Worth raised, the Arlington Sam Houston High graduate is calm and pleasant. He doesn’t laugh as much as you would expect, but that doesn't make him unpleasant; it probably means I'm nowhere near as funny as the scores of hilarious people he's met in his lifetime. He says he chose the name Bonkers because he was looking for something similar to a fellow clown’s name. John also says choosing the right letters matters when it comes to humor. John Rainone (Bonkers) and Valentina Burton (Poppy) were more than just performing partners. They met in the ’80s and married. They recorded approximately 1,000 episodes of “Club 27” — an incredible achievement. But, as John said during our phone chat, his proudest achievement is his talented son, Nick. Now 22, Nick performs as Zerp at Six Flags OverTexas and with Ringling Bros. and Barnum & Bailey Circus. For more on Zerp and the realities of being a professional clown, I recommend watching this long, but good video (humorous — potentially offensive language to some, just so you know — the process of applying clown makeup is involved). For the most part, John has put jokes to the side. He now lives nowhere near Lake Highlands. He and his second wife moved permanently in 2011 to their Ozarks vacation home in Lost Bridge Village, Ark. But back in his hey day, John’s character was half of a successful team. Poppy, aka Valentina Burton, was not only the other half of the comedy team that hosted “Club 27” every weekday from 1988-1991 on KDFI-TV, channel 27 in Dallas; she was his wife. The two even continued to perform together after their divorce. Eventually, they got back together, and moved to Lake Highlands in 1998, John said. They were in good company in the community. In addition to Crackers, John rattled off a list of names from Dallas-Fort Worth’s clown/entertaining community of the ’80s and ’90s — Stanley Green, Stringbini The Clown (Jimmy Perini), Tharpo The Clown (Jeff Tharp) and Kimo The Clown (Kimo Goree), Bo and Gretchen Gerard, He also mentioned that he and Poppy weren’t the only entertainers in Lake Highlands — at one point, there were four other friends who were performers living just blocks from his home. And though John loves the semi-retired life, surrounded by the serenity of the Ozarks, he has fond memories of Lake Highlands. 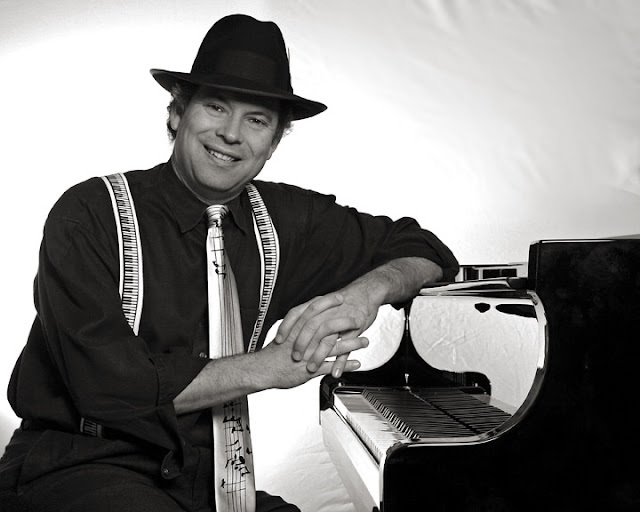 The Piano Man: John Rainone still performs occasionally at all types of celebrations and events — from anniversaries and corporate functions, to store openings and weddings. A talented pianist who first started playing professionally at the age of 15, he’s versatile and popular. “I’m an adequate juggler and good clown,” John said when asked which is his best talent. He said most people with an untrained ear think musicians who can play an instrument reasonably well are fantastic. “I can play piano reasonably well," he said humbly. "I guess I have the ability to fool [an audience]." He also said the key to being a good performer in a lounge/restaurant environment is to be like good "wallpaper" — an unobtrusive but pleasant element to a setting that is nice but doesn't overpower and disrupt the guests' evening. Although he has traded McCree Creek for the Ozarks, he says he really misses his friends and high school buddies. He says he still returns to do shows in Dallas from time to time. When asked what’s the piece of information he wished he knew back when he got started, he didn’t hesitate. But would he do it all over again? "Anyone with half a brain should get into Wall Street. But knowing me, I’d do it all over again." Very nice! Great talking with you! LOOK AT THAT! Up there, look at it! Mr. T, I really admire your sense of adventure. Not just everyone would chase down a neighborhood clown. But you, you go for it. Good for you! no tellin' how many great opportunities you might miss in life if you don't operate that way. Everyone has a story to tell and because of your curiosity and determination, Bonkers gets to tell his here. Hi there! Thank you for using some of my video posts and linking to my YouTube Channel. I came across a clip of Club 27 in a box of betas I found and it took me back to my childhood and watching Bonkers and Poppy do their thing every afternoon. Those were wonderful memories and reading this article made me smile and reflect. I come across nostalgic TV clips time to time in old tape findings so keep checking in my channel for updates! Thank you for this! We hired both "Poppy & Bonkers" and "Stringbini the Clown" for different birthday party ages for our first born son. This story brought back AWESOME memories! Thanks again! Its especially great to hear Poppy & Bonkers marriage was reconciled! Blessings to all! I loved watching Clue 27 after school when I was a kid. When I was in 2nd Grade, and my younger bro was in Kindergarten, we/he and I were on Club 27 1 X I had no idea that Bonkers and Poppy divorced! I'm not complaining, just surprised seeing what John/Bonkers looks like without his clown face paint. My name is Amy, thought Poppy's first name is Amy, too.